The Trustee Library has recently acquired a premier collection of titles by and about C.S. Lewis. Presented in honor of Brenau Women’s College alumna, Bobbie Jean Collins Jones, Ph.D. (Class of 1964), the collection was made possible by the generous gifts of her husband, Dr. Warren Jones. The Brenau C.S. Lewis collection consists of nearly 100 titles including the author’s work in science fiction and fantasy, children’s literature, philosophy, theology and Christian apologetics, essays and literary criticism, as well as titles about Lewis and media performances of his work. C.S. 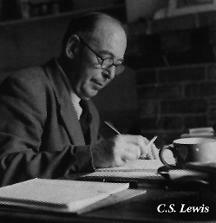 Lewis has been noted as one of the greatest writers of the 20th Century. As a prolific creator of both popular and scholarly work, Lewis continues to influence writers and scholars of today, as indicated by the ever increasing number of volumes related to his life, his writing and extraordinary genius. His enduring influence and appeal can also be seen in several recent film and theatrical adaptations of his work. This multidisciplinary and comprehensive collection is available to all students, faculty and members of the Brenau community to further explore at the Trustee Library on the historic Gainesville campus. Or contact Benjamin Barton, Collection Development Librarian (bbarton@brenau.edu).